Interviews are a minefield for potential candidate slip-ups and nervous stumbles. It’s the job of the HR leader sat across the table to put jobseekers at ease, encouraging them to present the best possible side of themselves. Trends around recruitment have changed and morphed with the onslaught of new technologies coming into the workplace. One area that’s really undergone a monumental flip in reputation is video interviewing. Whilst it was once considered to be unfriendly and less personal to interview candidates using the modem of video, we’ve recently seen something of a spike in the tech-savvy approach over the past year. 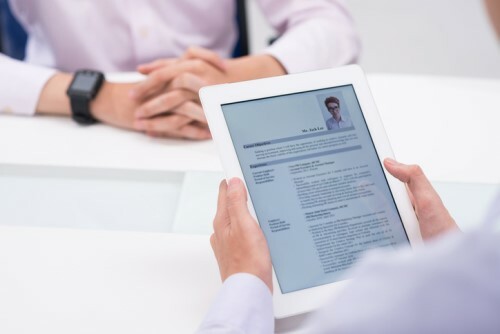 A report from Software Advice revealed that 60% of HR leaders have now turned to video recruitment when they need to conduct remote interviews, with 47% of organizations using the technique to shorten the time it takes to make a hire. Furthermore, it seems as if candidates are all behind the video recruitment trend, as 57% of them actually prefer live video interviews compared to 34% who want in-person hiring. The message behind this new trend is clear – using technology in interviews should be embraced, but never at the cost of losing the human touch. Whilst candidates seem to prefer video interviews, just nine per cent of them like ‘pre-recorded’ video links. We spoke to Stacy Donovan Zapar, founder of The Talent Agency, who explained why recruiters and HR professionals need to err on the side of caution when implementing technology. “I don’t know that I can pinpoint one issue that’s the overarching problem in recruitment,” she told us. “That would be too easy. However, if I went with my gut instinct, I’d say in general organizations trend to treat candidates like a commodity, or a number. As if jobseekers are a supply chain resource. I feel there’s a lack of focus on the human elements and on the candidate experience. “In some ways, I think technology may have made people lazy,” she continued. “We’re depending on technology to get the people through the process in an efficient way. But in this drive for efficiency and optimization, there’s a chance the candidates get lost in the process. To learn how you can implement video recruitment, and more about the forthcoming trends in hiring, make sure you sign up for our upcoming webinar with Psychology Consultant, Cheddi Suddith of SPB. How should HR accommodate psychological injuries?